With the warm weather hitting DC hard, I've been looking for ways to pull together a look without dying of a heat stroke. Vests are great layering pieces, and I desperately need more cropped ones! 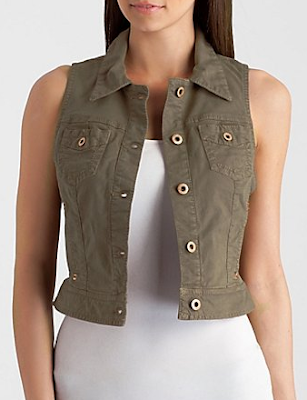 This just screams summer and can be found at Guess for $79.